Talk about any general Visual Basic programming related topics here. Note: This is for general topics, please use sub boards of an engine for engine specific questions. 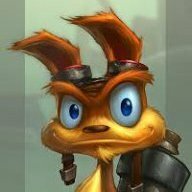 A .net custom retro sound engine/format lib? Drawing sprite name in center of larger sprites. Render Texture on secondary window. Using rich text box for chat? Rendering to the main menu. Draw black tiles all over screen. Check if server is online? Error disposing of item graphics.